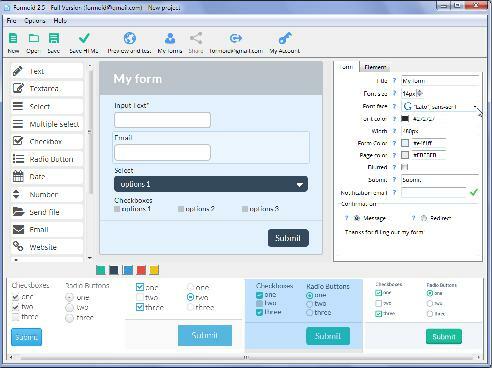 Formoid is a free desktop app that helps you easily create web form design, css3 form, web forms, css contact form and more in a few seconds without writing a single line of code. Create wonderful online forms in just a few clicks. Form doesn't look the same as in the formoid app..
Q: Hello, love the product, but..
when i paste the html code in2 the website it doesn't look the same as in the formoid app..
there aren't any spaces in the registration form. it's all crammed 2gether. i'm not so good with html. can u please please help me? Please, make sure that you upload all generated files on your server. If problem persists, send us a direct link to your page with problem, so we can check it.